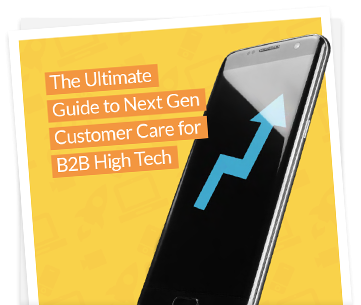 In a B2B high tech market, customer retention is key. Product differentiation, on its own, is no longer an effective competitive strategy. Digital customer experience is the new battleground. Your ability to provide insights, leverage peer-to-peer support, and deliver highly personalized services, hassle-free purchasing across platforms, and responsive customer support on all channels is imperative to staying relevant. Many B2B companies have invested in digitizing back-office workflows and modernizing existing IT architectures. But these efforts tend only to bring down internal costs and improve efficiencies and do not focus on innovating around sales and the customer experience - despite that being where the real growth will happen. B2B players must also contend with shrinking product shelf lives, greater price transparency, and a changing cost basis while simultaneously growing the capabilities needed to create consumer-like, personalized experiences. As part of their digital strategy, B2B high tech companies partner with Lithium to help them differentiate based on customer experience. How? Through powerful customer-centric communities that provide direct customer insights, crowdsourcing of ideas and innovation, education and self-service support, and faster response times for customers who need assistance in business-critical moments. As always, we are here to help you optimize and meet your CX goals.